Elder Ballard gave a series of talks to graduating students about “Using New Media to Support the Work of the Church.” Both Elder Ballard and Church Public Affairs have encouraged Latter-day Saints to join the online conversation and use language that friends of other faiths will understand. 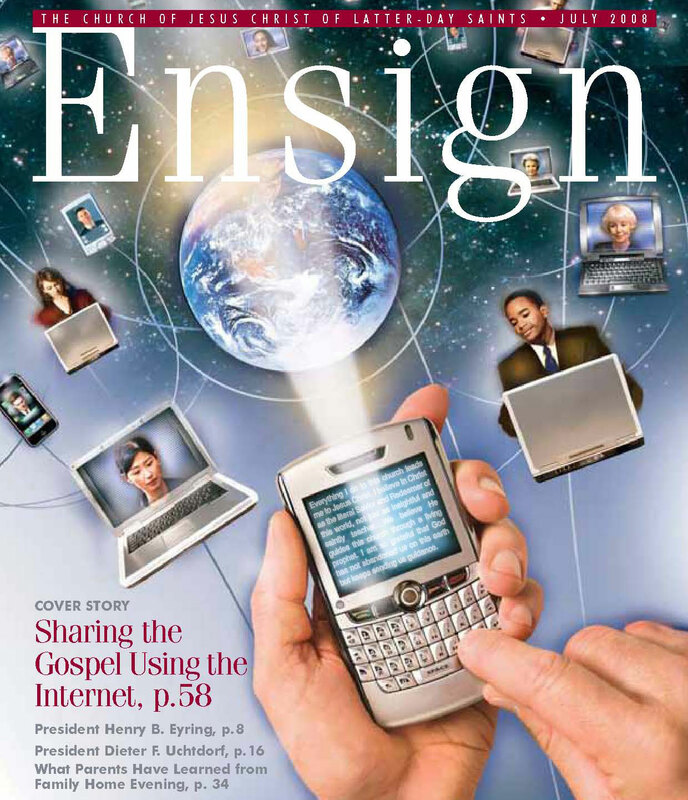 In an interview discussing the new website JesusChrist.LDS.org, Elder Nelson said the Internet provides the means for modern-day Apostles to fulfill their commission from the Savior to take the Gospel to the world. When sharing your beliefs online, use language that seekers would use. More than 70 years ago, when President Gordon B. Hinckley was a missionary in England he asked an associate, “How can we get people, including our own members, to speak of the Church by its proper name?” To which the associate replied, “You can’t. The word Mormon is too deeply ingrained and too easy to say. . . . I’ve quit trying. While I’m thankful for the privilege of being a follower of Jesus Christ and a member of the Church which bears His name, I am not ashamed of the nickname Mormon.” (President Hinckley’s Talk). While we as members understand the name of the Church is “The Church of Jesus Christ of Latter-day Saints,” others are more likely to know us by the nickname “Mormon.” By using the word “Mormon,” you can then help these seekers find the information they are looking for, as well as let them know the official name of the Church. Ready to get started? Find out Ways to Share the Gospel Online, How to Blog, or join Mormonhub.com and discover other ways to get involved.